Ski resort Zermatt / Breul-Cervina, located beneath Matterhorn's magical peak, is known for superlatives. In winter 2018/19 another highlight was added to the list: the world's highest 3S cableway up to Klein Matterhon. It took 60 million Swiss francs to build the new Matterhorn Glacier Ride in the extremely demanding Alpine terrain. © Zermatt Bergbahnen AG The new Glacier Ride and the old cable car connect Trockener Steg to the peak in parallel lines. 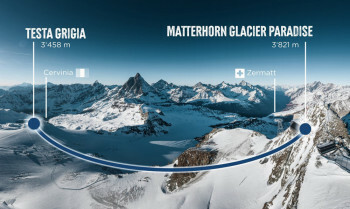 From now on, the new Matterhorn Glacier ride and the old lift will go op to the peak from Trockener steg in two parallel lines. 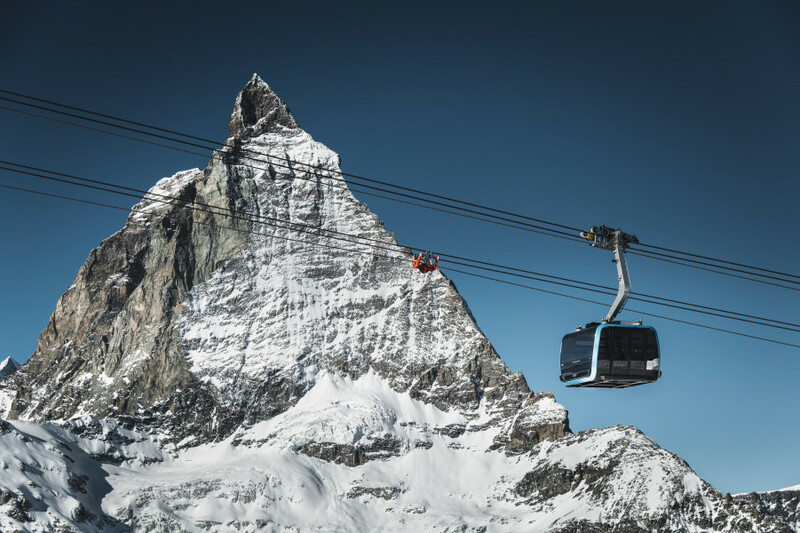 The new 3S cable car at Matterhorn Glacier Paradise, where the summer ski resort is located as well, is one of the most spectacular cable cars in the world. One factor is its hight alone: the top station at 12,536 feet is the highest in Europe. 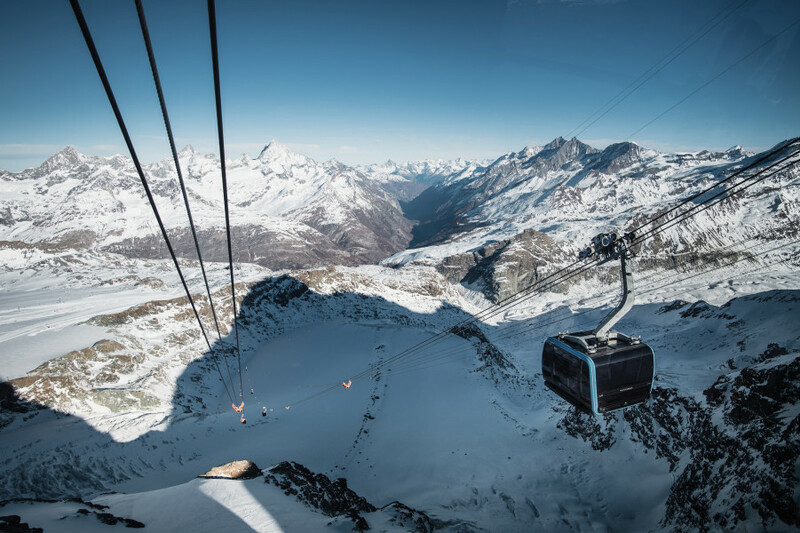 It is located right next to the top station of the old lift that has reliably transported visitors up to Matterhorn Glacier Paradise for the past 40 years and that will continue to run in the future. Hence, idle time and long ques are a thing of the past at the base station on Trockener Steg (9,590 ft). Besides the new cable car, two brand new station buildings have been created as well. 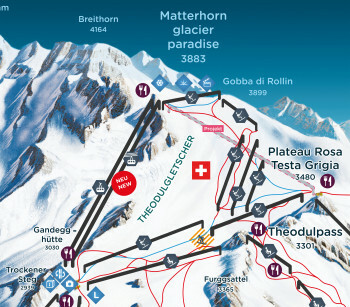 The base station is located west of Matterhorn Express's top station at 9,619 feet. The top station's spectacular location is right against Klein Matterhorn's rocky west face at 12,536 feet near the old cableway's top station. 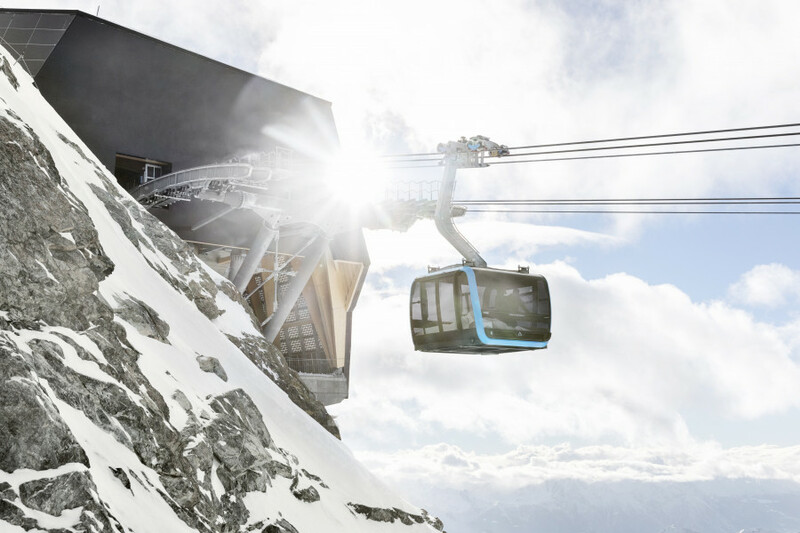 Its 25 ultrmodern cars, created by Italian star designers Pinifarina (Ferrari, Maserati), are among the hightlights of the new cable car. Up to 28 people can occupy each of the spacious carriages. Besides the panoramic windows offering impressive views, the interior lighting shaped like a starlit sky, and seats inspired by automotive design (heated of course) are sure to fascinate. The four “Crystal Ride” cars, decorated inside and out with 280,000 Swarovski crystals are unique in their luxury. But there is more: after three minutes, the cabin floor changes from opaque to transparent, providing a 360 degree experience of Zermatt's unique mountain panorama. After another 3S cableway between border station Testa Grigia and Klein Matterhorn was applied for in the summer of 2018, project "Alpine Crossing" seems to be turning into reality. Passengers will be able to move between Switzerland and Italy in a one-hour panoramic ride. With more than 13,000 ft, the planned cableway connection will feature the highest vertical drop in all of Europe. The 3S cableway between Testa Grigia and Matterhorn Glacier paradise will be identical in construction to Matterhorn Glacier Ride. Its inauguration is scheduled for spring 2021. 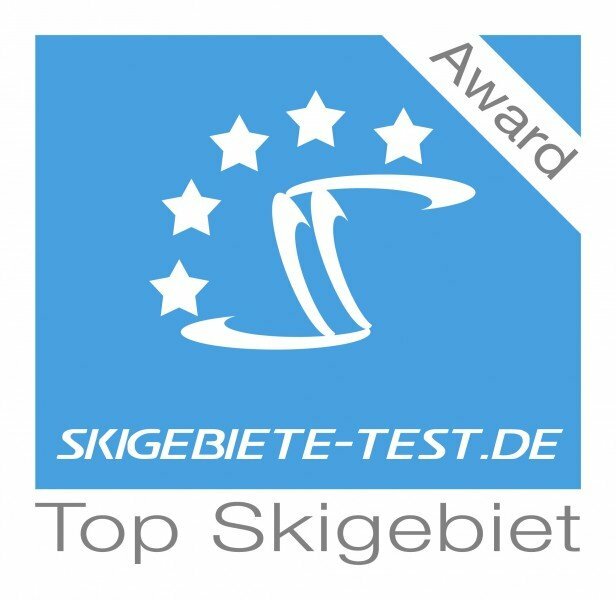 For many years now, Zermatt has always gotten full marks at our test visits, and has once again been awarded best ski resort in the world in the winter 2018/2019 season. Skiers find a total of 365 kilometres (226.8 miles) of slopes. It boasts impressive views of the Valais mountains. Matterhorn (14,692 ft) especially fascinates the visitors. 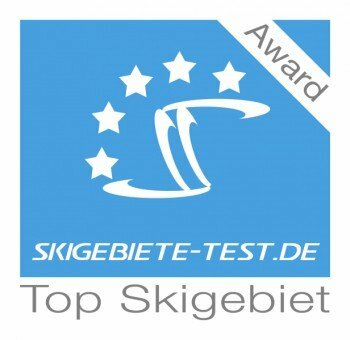 Zermatt received particularly good marks in the categories Advanced, Freeride, Terrain Parks, Service, Snow, and On Mountain Dining. At Zermatt, skiing is not only possible in winter, but in summer as well. Around 20 kilometres (12.4 miles) of Matterhorn Glacier Paradise's slopes are open consistently from May through October.